This is a fun Vintage Flying Witch Image! 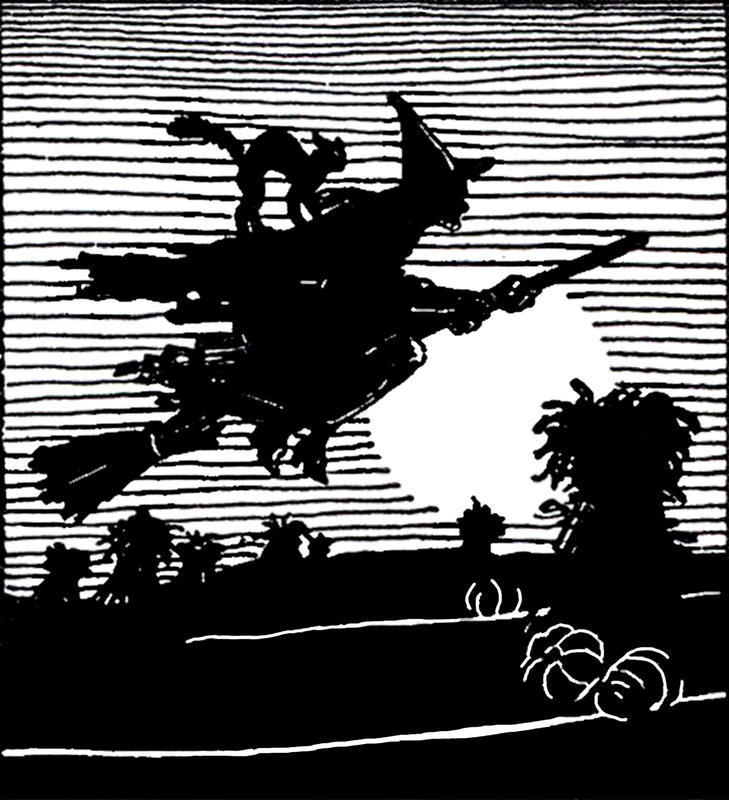 This is a black and white illustration of a Witch flying around on her Broom. She even has a black Cat on her back! This one was scanned from a recent addition to my collection, a rare Circa 1941/1942 Printer’s Catalog. Spooky! Vintage Apple Barrel Image! Vintage Sewing Mannequin Graphic! Vintage Flying Bat Image – Halloween!